FREE ESTIMATE ON CARRY-IN PRODUCT ONLY. Pay A Home Service Fee In Advance And Get 10% Off The Labor. Our company is factory authorized in repairing SYLVANIA TVs. Our company specializes in repair of SYLVANIA television of all types: DLP and CRT projection, plasma, LCD and direct view SYLVANIA televisions. 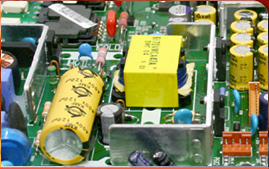 Thanks to our suppliers we are able to find any original parts for SYLVANIA televisions. We have access to a complete library of service manuals for any model. Most importantly all of our technicians are fully qualified and have many years of experience in the repair of SYLVANIA televisions. Most repairs are completed on the spot, without the TV leaving your house! If problem cannot be fixed in-house, the TV is taken to our base, repaired, delivered, and installed.